Mountain Gorilla Trekking in Uganda,Rwanda and D.R.Congo: When is the best time to visit Mountain Gorillas in Africa? Comparing Mountain gorilla Trekking in the dry and wet seasons in Africa. Mountain Gorillas tend to concentrate nearer the forest boundary: When it comes to Mountain Gorilla trekking tours inside their natural habitats, feeding is the determinant factor to get closer to a mountain gorilla family with a short or longer hours walk. Mountain gorillas walk to allocate a new feeding range each day and it’s during the wet seasons that there are lots of second vegetation growths all over the forest underneath. Plenty of Mountain gorilla food: Vegetation’s second growth is the favorite food for Mountain Gorillas as vegetarians, during the wet season Mountain Gorillas are known for their little lazy movements unlike in the dry season. Mountain Gorillas tend to concentrate nearer the forest boundary because there adequatevegetation allover available for the Gentle Giants’ meals, this is not like to occur in the dry months where the forest undergrowth is dry forcing Mountain Gorillas move longer distances in search of fresh foods and a cooler safe environment. During the dry months Mountain Gorillas are known to foliage in places known to be rocky with caves for a conducive environment and often climbing tall trees and breaking down branches for a favorite meal. Time taken while on the trek: The rainy season is best recommended for tourists who feel don’t need to trek for long hours thus benefiting from trekking shorter distances as Mountain Gorillas are near the forest boundary. This can be in the buffer zone where the second growth is in plenty for their food. In the volcanoes national park of Rwanda and Mgahinga gorilla national parks of Uganda you will find Mountain Gorillas enjoying bamboo shoots whereas in Bwindi impenetrable national park they will be at the forest Buffer zone closer to the gazette forest boundary. Tourist Numbers: In the dry months tourist numbers are quite higher, this affects the availability of Mountain Gorilla trekking permit as well. Tourists are encouraged to book in advance for a period not shorter than 3 months to avoid last minute surprised. 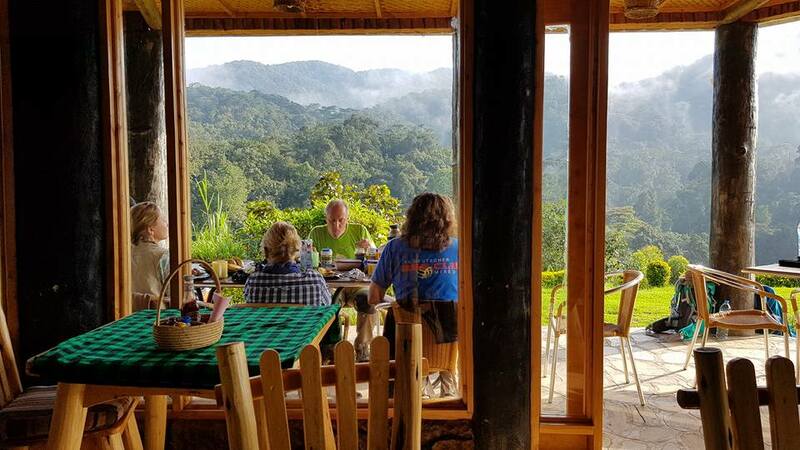 Generally this is due to congestion in the booking market, unlike the wet months where Mountain Gorilla Trekking permits can be booked instantly with possibilities just few days to commence your trip. For more details read about season article here. Discounted trekking permits: The low season has some safari discounts as well, for example Uganda wildlife Authority offers discounted permits to Mountain gorilla and Chimpanzees in the low seasons. Yes this is another way to save money while coming for your safari to Uganda, permits to trek the mountain gorillas are booked at 450$ from 600$ in the peak season however this is ending by 2017 unless there are further review by the conservation Authority. Hotel offers for low season: You will find that hotels are able to offers a low season package to you, this is possible for both hotels including upmarket. Privacy at its best in the best and splendid environment: You will enjoy the serene environments from your hotel amidst few or no more tourists, just to imagine you booked the whole premise but not really just the low season has offered it to you. With all the above considerations, we believe your trip to Africa to trek mountain gorillas must be a matter of choice. Your planning must answer questions like where do you want to go, what you want to see beyond gorillas, how much you are likely to pay as permits in Uganda cost 600$. Rwanda sell permits at 1,500$ and Congo at 400$ and how you want to enjoy your time in the wilderness. We remain to tailor your safari together for your Mountain gorillas!